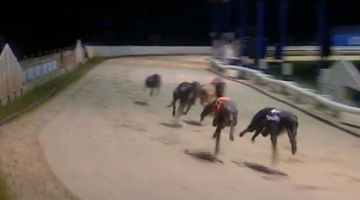 The two English greyhound tracks who have been contracted with an extra meeting per week by SIS – from August – are confident that they will cope with the extra workload. Henlow promoter Kevin Boothby got his wish, as mentioned in a recent article, when being offered a fifth meeting, at the idea slot of Saturday afternoon. The track already races on Monday and Thursday mornings, Tuesday evening and Sunday afternoon. Racing manager Paul Mellor said: “We will be looking to make the switch and have Sunday afternoons as our main open race meeting. Central Park move up to six meetings per week – Monday to Thursday (mornings), Friday evening and a new Sunday evening fixture. Spokesman Barry Stanton is convinced that the track has more than enough runners on the strength. He said: “There are five meetings of twelve races and one of eleven meaning we will need 426 dogs. With the arrival of Barry O’Sullivan, who should have his first runners on September 2, that will take us up to around 480 dogs.